Think how embarrassing it is that you have started taking salat with Jamaat and your device ringtone started loudly. Keep your device silent when you enter masjid or your time of prayer / salat or in meeting. 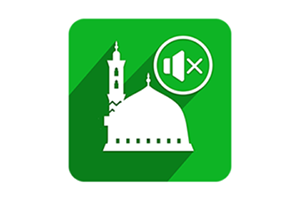 Set the 5 Wakt / prayer-time or specific time for meeting in the app when you wish not to hear any ringtone. Also put the duration of silence mode. # Automated silent your device. # Automated switch back on normal tone again. You must keep this app to your device Apps active in standby mode.